The Radmoor Centre is linked with Loughborough College who have been training and developing generation after generation of hairdressers, beauty therapists, and sports massage therapists. Once qualified, college students often go on to work for leading organisations such as the World famous Ragdale Hall. Others have gone on to successfully set-up and run their own businesses. Our teams of lecturers are dedicated to our learners and are always updating their skills and knowledge to provide students with an excellent standard of training. We train our learners in a simulated real working environment so they achieve a professional working philosophy. To help develop students and give them valuable life and work experience we are always looking for clients students can work with to develop both their practical and soft-skills. 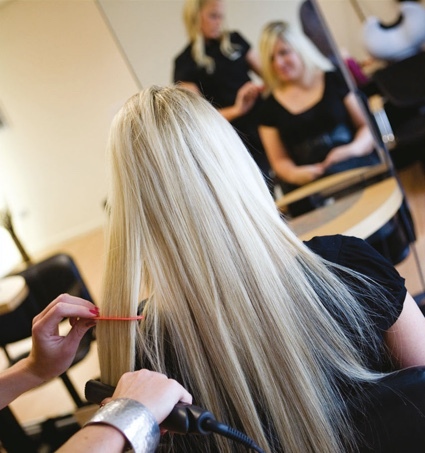 Our students always work under the supervision of a fully qualified lecturer who has established industry experience. Please confirm that you are happy to receive training salon news and offers by ticking the box below.